When it comes to leftovers, there is always a way to turn them into fabulous treats. They do not have to go to waste! When the leftovers are actually cake, there is a million things you can do! What you can’t do, is let those cakes go to waste!! Top 10 Tips to turn leftover cakes and cake crumbs (the byproduct of cake carving) into scrumptious treats. Crumb Cakes are the most ingenious way to turn potential waste into something fabulous! This is a trick that every bakery utilises to minimise waste! Crumb Cakes are delicious. You will love them. You can even flavour crumb cakes with honey, cinnamon, fruits…etc. 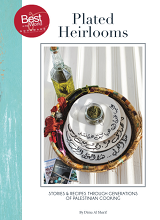 The options and varieties are endless! 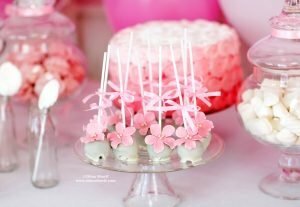 Cake Pops and cake balls are so IN right Now!! (not to be confused with chocolate truffles*, Chocolate truffles are very different from pops or balls) They are on every cook’s menu, and are nowadays found on every party menu. They are delicious, and can be made to look fabulous. They can even be themed and used for various occasions. *Chocolate Truffles are made out of chocolate. Usually containing a soft chocolate or praline filling at the centre and a hard chocolate coating on the outside. Chocolate Truffles can also be left soft without the hard chocolate coating. The difference between pops and balls, is that pops are mounted on lolly sticks, while balls are left as balls. You can shape the balls then dip them in melted chocolate, you can coat them with nuts, cocoa powder, coconut, edible rose petals, melted chocolate stripes…etc. If you dip them in melted chocolate then let them dry out, you can pipe decorations on top of them if desired for theming or just for the sake of decoration. To Make chocolate Balls, you need to have leftover cake, reduced to crumbs. Mix that with sufficient amount of any kind of cake frosting – you just want to make sure that frosting and cake match in flavour – then mix all until incorporated. The mixture should be able to hold shape when rolled into balls. If you add too much frosting, the mixture will be wet and won’t hold shape. In the same effect too little frosting will also not work. Add a little at a time, and mix, then try to roll the balls, if they hold shape you are good. if not, add more frosting. place them in a nice box and gift them to friends. Gifts From The kitchen are very thoughtful. There is a lot of effort that goes into baking and cooking, that when gifted, they make for a thoughtful and effort-full gift. You can even top each with a different topping making a beautiful box of scrumptious treats. You can welcome a new neighbour with this box, gift it as a “get well”, “thank you” or any sentiment you like. They will fly in seconds, and will make you a star! If you change around with the appearance, or flavours of the leftover cakes, they will feel new and would be willingly had as today’s desserts. Adding fillings and layering, adding fresh fruits, Jams, syrups, chocolate shavings, frostings…etc. will all transform the cake into a new dessert. For example some leftover Vanilla cupcakes sliced in the middle to create two layers, then filled with cream, and topped with strawberry then sprinkled with icing sugar. Which child is going to resist that? While they might just pass on an old plain vanilla cupcake. The thing about loaves & muffins is that the batter is usually lumpy. Which makes it work very well with cake crumbs. Reduce the amount of flour in the recipe by the same amount of cake crumbs and use the crumbs together with the reduced flour in making the batter. Serve these for breakfast as sweet breads. Sweet breads are great with cheeses, butter or jams. Another way is make the loaf or muffin as in recipe, then top with cake crumbs. Kind of like the crumble effect. 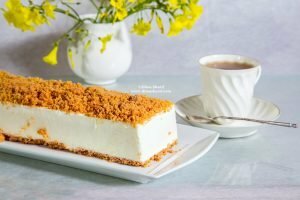 You can use cake crumbs like you would cookies to make a shell for no bake cheese cakes or fresh fruit tarts… Just mix them with some butter, spread along the bottom and sides of tin and place in fridge to firm. Delicious, and adds variety to your cheesecakes. Otherwise think crumbles, cookie bar crumb topping, or even to dress the sides of other cakes…etc. Trifle is an amazing and very underrated dessert. It is simply delicious! Whenever you have leftover cakes, use them in making a trifle, and you will please everyone in the family. Parfaits and layered dessert cups are another genius way to use any leftover cakes. 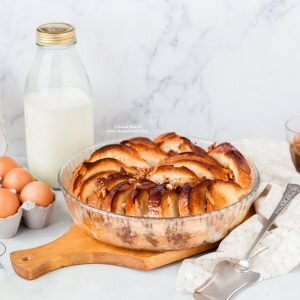 Remember the bread pudding? Well who said it can’t be cake pudding? Just slice the cake and carry on as you would a bread pudding. Don’t only stick to the classic, get creative with flavours and combinations. This will also be helpful in adding variety to your desserts buffet, without the extra hours required to bake from scratch. Just cut the cake into individual portions and top with your desired topping and offer as dessert variations. Note that the same cake can make many options if each portion is dressed differently. Mini cake bites are a genius option here. If you decorate cakes, you can use the crumbs in creating the sand effect, like you would with brown sugar. 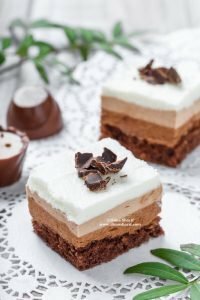 If you do not decorate cakes, but do food photography, you can use this trick to create the illusion that you are shooting at the beach or over sand. Things to keep in mind when using leftovers of any kind. Food is to be eaten, therefore make sure it is safe. By that I mean, make sure that it is within shelf life and not expired. Also make sure it is clean, and had been kept in proper safe conditions. If it has been out on the counter while it should have been kept in the fridge, then it is a bad idea to use it! Also consider the expiry date of the new product. When does it expire? If you gift it, make sure to tell the recipient that it has to be consumed within…amount of time. There is nothing better than minimising waste! Brilliant! I think we are the queens of leftovers. It is so important to extent the life and relevance of good food. Hate waste or money and effort. Could not agree more! and to get something that tastes just as good as crumb cake!! I am in for leftovers any time! Just what I need, I have a tray of leftover cake waiting for some good lovin. Roughly how much leftover cake do you add based on the amounts of the other ingredients for this? Thank you for leaving a comment and let me hear from you again. What can I do with leftover cake crumbs, pudding, and whip cream to feed a crowd?